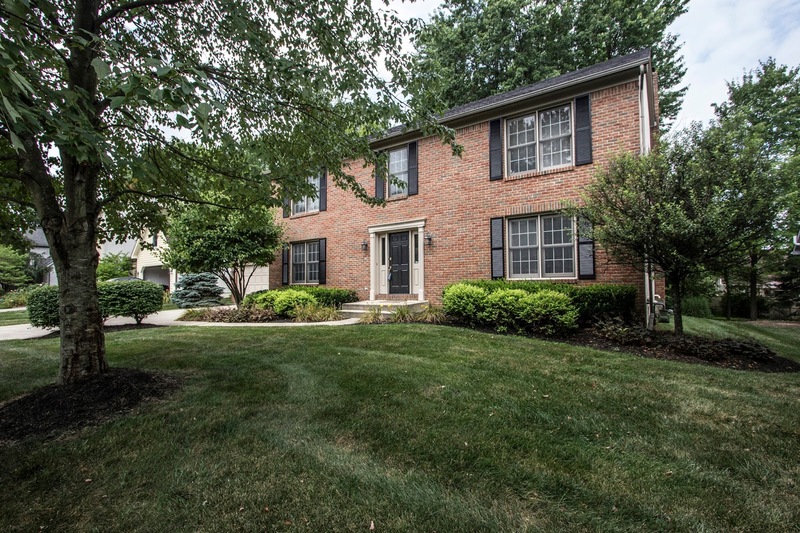 Updated Two-Story home on a gorgeous and private ¼+ acre wooded lot! Hardwood Foyer opens to a fully applianced, island Kitchen with wrap around oak cabinets, updated floors, hardware, appliances & French doors to rear deck. Family Room has new carpet, brick fireplace & walks out to a screened porch. Vaulted Master Suite has walk-in closet & updated whirlpool Bath. 1st floor or Basement Laundry, Full Basement (ready to finish), updated carpet, flooring, interior paint, lighting, baths, roof, water heater & more! 4 BRs & 2.5 Baths. Nearly 2,500 SF! Gahanna Schools. Only $322,900! Call DeLena today!